It sounds like a memorable birthday! Happy Birthday! Happy Birthday Mary! Spending your birthday in NYC, visiting the museums sounds like a fun time. It is snowing again here, I am really tired of winter and wish it was over now. Lovely photos and post. Thanks for hosting, enjoy your week ahead! A very Happy Birthday to you, Mary! Sounds like a fun day in the city. Your photos are beautiful. The last one of the vase with the gorgeous flower arrangement is stunning. I am more and more attracted to dark backgrounds lately, for some reason and here, in your image, it seems like the flowers are floating so lightly and elegantly just above the vase. Wishing you a very Happy Birthday - how wonderful to spend it in New York with your precious family! What could be nicer than taking in the galleries - wonderful inspiration for you! Your photos this week are so beautiful. 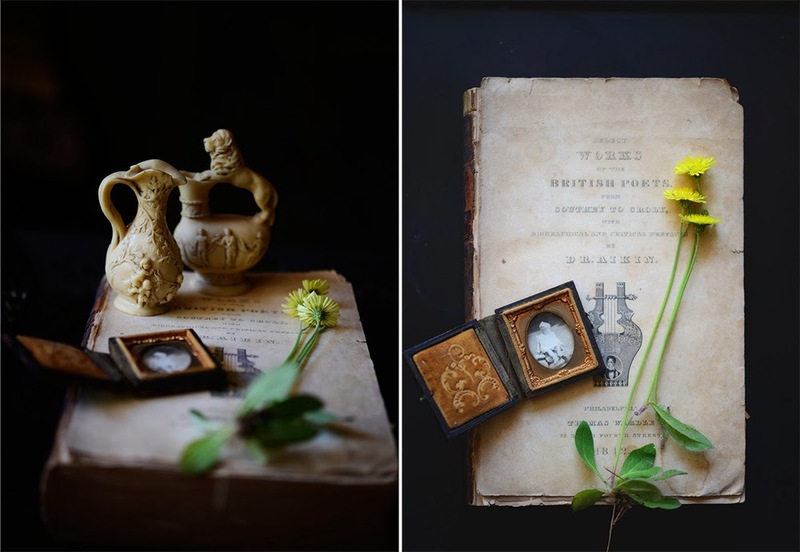 The vintage photo frame and simple dandelion sitting on The Works of British Poets. I'm inspired to have a play with some composition now too! Lovely photos, glad you had a hoppy birthday. Happy Belated Birthday. I really enjoyed your pictures today. I think we are all dreaming of springtime! Happy Birthday. Sounds like a fun but chilly tie in NY. Happy Belated Birthday. What a great Bday present - New York City, how much that would be. So glad you got to spend it doing something wonderful. Those museums look excellent. Went to New York and took no pictures! amazing I would say - but I can understand too. One doesn't always have to be a photographer. Sometimes I am at big family events and there are cameras everywhere, and I take no photos. Stay warm, and I hope the sunshine returns soon. I had come across your blog last week when I was check out some of the Sunlit Sunday post and wanted to make sure I did a collage with my pictures this week so that I could link up. Love your pictures and Happy Birthday. Happy birthday weekend, Mary! Have a wonderful and happy, healthy year ahead! It was your birthday so you were allowed to enjoy it how you wanted and if that included not camera, hurray!!! Sometimes I get to caught up taking photos I forget to enjoy what is happening and the people around me. Hope you had an awesome time. Glad you had a good time celebrating your birthday. Beautiful photos, as always. Happy Birthday, Mary. I think a New York weekend would be the perfect way to celebrate! Have a wonderful birthday Mary and enjoy my dear home town NY. Many blessings for the new year of life and always. Thanks for the party, I'm finally here with a mosaic of my Little grandaughter who was 7 yesterday, she's an Acquarious too and hubby's birthday is tomorrow as well. Happy Birthday, Mary! I love NYC. Thanks for hosting my favorite party. Happy Birthday Mary. Thank you for hosting, love your still life photos. 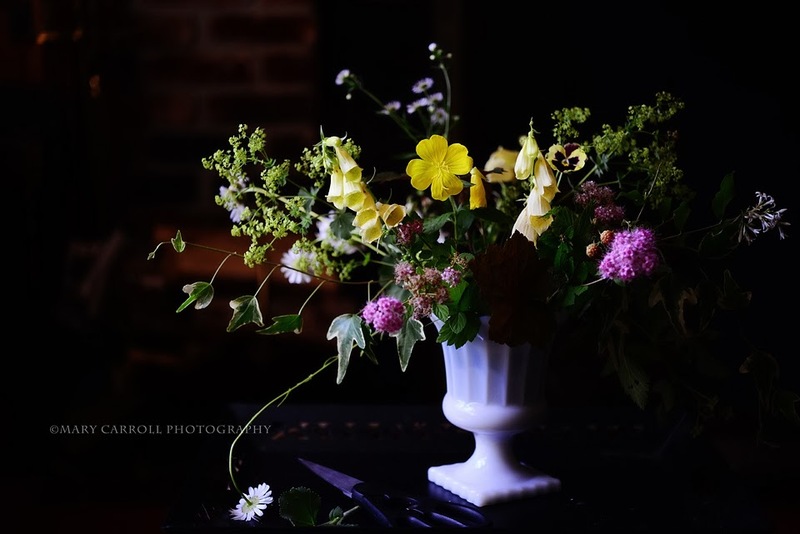 Your still life photo's are lovely. Happy belated birthday-I love your photos!! I'm horribly late, but happy birthday!